Tim Abbott has more than 39 years of experience in Personal Injury Claims. Tim was born and raised on the family farm in Dungog NSW. He was educated in Sydney and obtained degrees in Law and Commerce at the University of New South Wales. After university, he moved to Wagga Wagga where he has practised for over 39 years. Tim is married with four children. He resides on a farm located to the west of Wagga Wagga near Euberta. His farming activities include growing a variety of crops under irrigation, breeding, fattening lambs and hay production. He has a variety of other interests including the breeding of race horses. 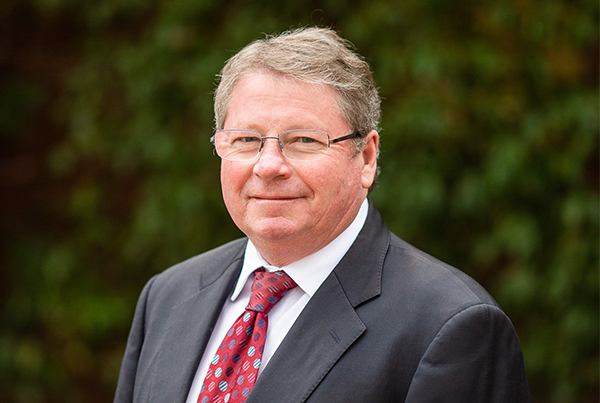 Tim has a keen interest in water allocation, the Murray River Darling Basin plan and the problems generally with Government policies and legislation in these areas. Tim is accredited by the Law Society of New South Wales as a specialist in personal injury law. He is admitted as a Solicitor of the Supreme Court of New South Wales, a Barrister and Solicitor of the Supreme Court of the Australian Capital Territory and of the High Court of Australia. Tim is also a qualified mediator. Tim has been involved in thousands of personal injury claims over the years and is one of the most experienced and leading personal injury practitioners in Australia. Tim has been involved in many ground-breaking cases and obtained for one client the largest personal injury damages verdict in Australia’s history. Tim attends to all his clients personally, the work is not delegated to other or junior solicitors. When you instruct Tim to act on your behalf you know you are going to get the very best advice from a very experienced Solicitor. Personal injury law has, in New South Wales, evolved over time. The law has been constantly changing making it essential that you have a specialist and an experienced Solicitor such as Tim. Personal injury practice is conducted on a no fee no win basis. All necessary expenses are paid by our firm and recouped on successful completion.